Beijing, Oct 24 (IANS) The Communist Party of China (CPC) on Tuesday unveiled a new leadership, electing the 19th CPC Central Committee to lead the party for the next five years. The 19th CPC Central Committee will in turn elect the Political Bureau, the Standing Committee of the Political Bureau and the General Secretary at its first plenary session on Wednesday, reports Xinhua news agency. According to the Party Constitution, the highest leading body of the CPC is the National Congress and the Central Committee it elects, and all constituent organisations and members of the Party are subordinate to the National Congress and the Central Committee. 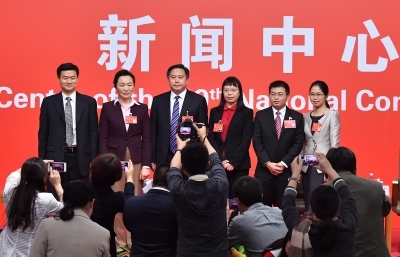 The CPC National Congress is held every five years and convened by the Central Committee.